You'll understand(or get confidence) why not to stretch firewalls and VLANs between DCs. What is the right and the proper way things to be done. 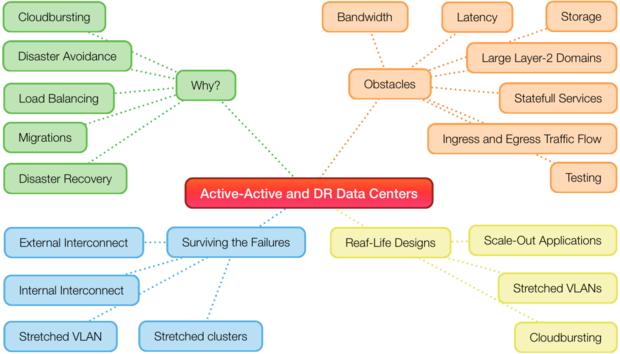 This webinar provides very nice feedback about challenges and drawbacks while designing active-active data center. The part of this webinar that i have focused on is hybrid cloud , large layer 2 domains and typical real-life designs. I really liked your story-board approach to explaining out Layer 2 connectivity between DC's has evolved. This will form a big part of a message i will be giving to our senior management team as to why i have have been recommending against Layer 2 DCI's. I recently attended a 2 day cisco ACI intro course and i am building the case for it internally. 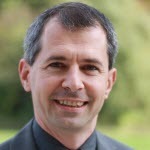 Your hybrid cloud video also hits on lots of concerns i have also. It is very useful to have this collated in the way that you do. I am coming up to the end of my 2nd year of subscription. We will again subscribe for 2016, it is vital to assisting me in my job and i always recommend your site. It was great, and don't span VLAN's across data centres, nor try to deploy stretched firewall clusters (unless you're an idiot / twit of course). This webinar provides excellent coverage of the main points about A/A data centres. I would very much like to see it evolve over time to include more advanced topics as well as real world case studies . It's Great because it is about networking but not only. It replaces the network in the big picture of IT and applications hosting. They should doing it to expand their knowledge about datacenters as network engineers. Most Data Center HA/DR courses are based on infrastructure solutions only. This one has also a strong focus on modern application design and active/active DC. It would be nice to have more real life examples and references for different size of data centers (private data center, public cloud mid-sized, big service provider). With detail explanation of challenges that they have focused on, which solution that they have chosen and why, how well it has been performing during maintenance. I dont usually give 5 stars for everything in surveys as no matter how good something is you cant say it cant be improved. However i have to say i cant fault your webinars, they are so relevant to my job and have impacted on me forming an opinion on DC design more than any other resource i have referenced. This will help me demonstrate that other and much more respectable specialists, think like me.